Here we have, broadly, the template for a very Lovecraftian tale indeed. Ten years later, in a 1937 essay titled “Notes on Writing Weird Fiction,” Lovecraft would return to the theme and elaborate more fully on how to produce such an artifact. 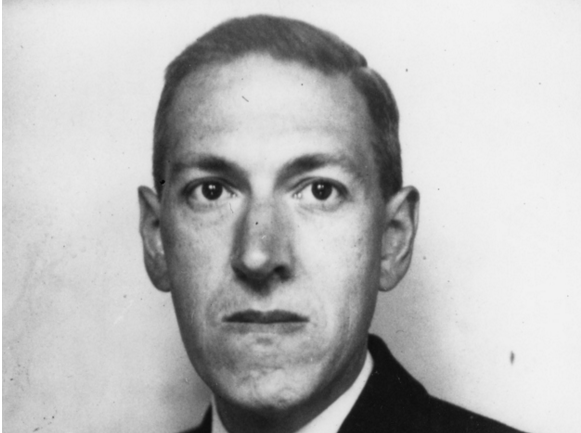 Weird Fiction, wrote Lovecraft in that later essay, is “obviously a special and perhaps a narrow” kind of “story-writing,” a form in which “horror and the unknown or the strange are always closely connected,” and one that “frequently emphasize[s] the element of horror because fear is our deepest and strongest emotion.” Although Lovecraft self-deprecatingly calls himself an “insignificant amateur,” he nonetheless situates himself in the company of “great authors” who mastered horror writing of one kind or another: “[Lord] Dunsany, Poe, Arthur Machen, M.R. James, Algernon Blackwood, and Walter de la Mare.” Even if you only know the name of Poe, it’s weighty company indeed. Prepare a synopsis or scenario of events in the order of their absolute occurrence—not the order of their narrations. This is a practice adhered to by writers from J.K. Rowling and William Faulkner to Norman Mailer. It seems a an excellent general piece of advice for any kind of fiction. Prepare a second synopsis or scenario of events—this one in order of narration (not actual occurrence), with ample fullness and detail, and with notes as to changing perspective, stresses, and climax. Write out the story—rapidly, fluently, and not too critically—following the second or narrative-order synopsis. Change incidents and plot whenever the developing process seems to suggest such change, never being bound by any previous design. You will notice right away that these five “rules” tell us nothing about what to put in our weird fiction, and could apply to any sort of fiction at all, really. This part of the admirably comprehensive quality of the otherwise succinct essay. Lovecraft tells us why he writes, why he writes what he writes, and how he goes about it. The content of his fictional universe is entirely his own, a method of visualizing “vague, elusive, fragmentary impressions.” Your mileage, and your method, will indeed vary. Lovecraft goes on to describe “four distinct types of weird story” that fit “into two rough categories—those in which the marvel or horror concerns some condition or phenomenon, and those in which it concerns some action of persons in connection with a bizarre condition or phenonmenon.” If this doesn’t clear things up for you, then perhaps a careful reading of Lovecraft’s complete “Notes on Writing Weird Fiction” will. Ultimately, however, “there is no one way” to write a story. But with some practice—and no small amount of imagination—you may find yourself joining the company of Poe, Lovecraft, and a host of contemporary writers who continue to push the boundaries of weird fiction past the sometimes parochial, often profoundly bigoted, limits that Lovecraft set out. This entry was posted on 9 August, 2017 in homepage. Bookmark the permalink.